This beautiful Regency Plume Agate gemstone is so dramatic with its milky colors running on it. 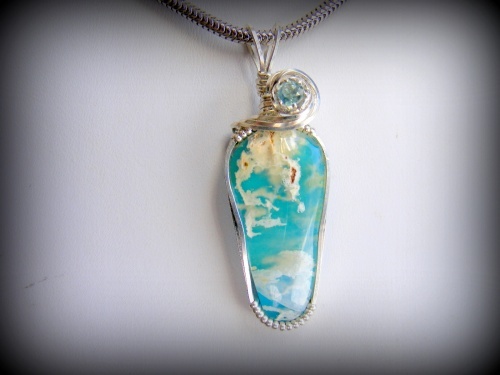 Wrapped in sterling silver curls and accented with a beautiful Apatite faceted stone on the top of the pendant. Piece measures 13/4" long from top of bail to bottom of gemstone and 5/8" wide. Comes with a sterling silver snake chain.